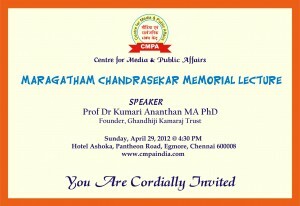 Centre for Media & Public Affairs (CMPA) organizes ‘Maragatham Chandrasekar Memorial Lecture’ on Sunday, April 29, 2012 @ 4:30 PM at Hotel Ashoka, Pantheon Road, Egmore, Chennai 600008. Veteran media personalities, communication professionals, academicians, social workers, entrepreneurs and our valued patrons will take part. 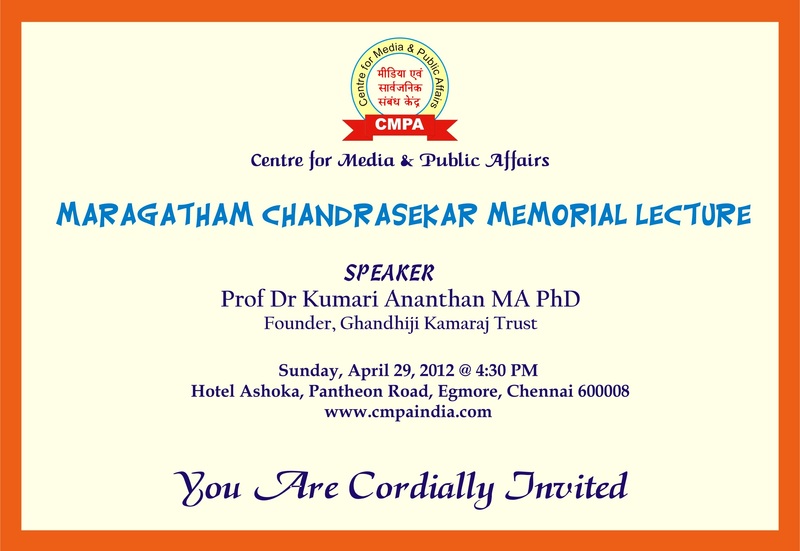 You are cordially invited to participate and grace the occasion. Please consider this as a Personal Invite and attend the program.